Philips, one of the biggest early adopters of 3D television in the home, has cast doubts over its future plans in the 3D market after closing its 3D technology research division. 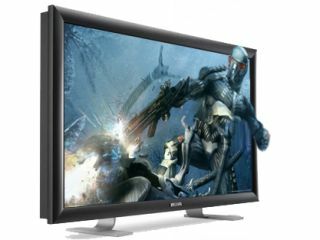 The company announced to Computer Shopper, explaining that "it is still something that we're closely monitoring in the long term but there's no short to medium term plans for a Philips consumer 3D TV business." Philips had been championing WOWvx autostereoscopic technology which allows consumers in the home to watch 3D without the need of glasses. The 42-inch TVs utilises a 2D+ depth format. This essentially means they are capable of showing 2D content using smart software interpolation. They are currently available in the UK market for around £7,000. Currently, LG is another manufacturer who is looking to bringing no-glasses 3D to the home, with the likes of Sony and Panasonic looking into three-dimensional tellies that require the use of glasses. In fact, Panasonic just announced at NAB it is bolstering its 3D output. It is to start development on a new 'Professional 3D Production System', which consists of a twin-lens P2 professional camera recorder and a 3D-compatible High Definition Plasma display. The company explained at the broadcasting event taking place in Los Angeles this week that it is "continuing its efforts to enable consumers to enjoy 3D movies in the comfort of their own living rooms with its 3D Full HD Plasma Home Theater System, which incorporates a Plasma HDTV and a Blu-ray Disc player."